Young Living’s newly designed Aroma Diffuser combines a humidifier, air purifier, atomizer, and aromatherapy diffuser into one product that safely releases essential oils into the air to eliminate odors and create a spa-like atmosphere. 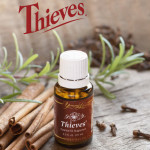 Includes free 5 ml bottles of citrus fresh and peppermint essential oils. 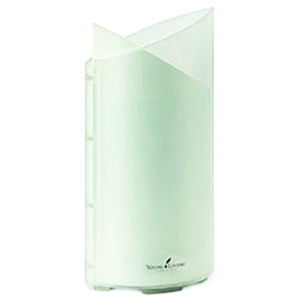 The Aroma Diffuser utilizes ultrasonic technology to break up the mixture of essential oils and water into extremely fine microparticles and disperses the ingredients in essential oils into the air. It provides an excellent method of calming and moisturizing to build a healthy, natural, and pure living environment. Fill well with distilled or purified water, add 4-8 drops of the desired essential oil, and turn on diffuser. See instruction booklet for complete usage details.